Launching AnonLeaks, Ready To Dump More HBGary E-mails ! 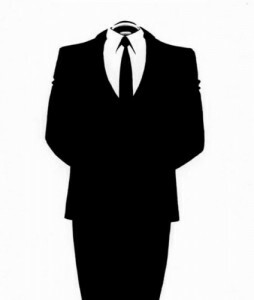 Anonymous used to be all about disrupting the Web sites of companies that helped block WikiLeaks’ funding. Now it’s starting to act like WikiLeaks itself. The group is planning, as early as today, to release 27,000 e-mails from the server of Greg Hoglund, the chief executive of software security firm HPGary, which it says could have permanently damaging consequences for the company. Anonymous has already posted around 50,000 emails of Aaron Barr, the CEO of sister organisation HPGary Federal, which revealed a report by the firm looking at ways to sabotage WikiLeaks in collaboration with Palantir Technologies and Berico Technologies. The emails also show that Bank of America, a potential target of WikiLeaks, was to hear the proposal via its outside law firm Hunton & Williams. A subset of Anonymous members, or Anons, who use Internet Chat Relay to communicate, are currently working on a web viewer for all the e-mails as part of the launch of a new front for the movement, AnonLeaks. ThinkProgress also discovered via Barr’s leaked emails that similar proposals had been prepared for the Chamber of Commerce to attack progressive groups and other activists including ThinkProgress itself. Via Reddit, here’s a screenshot of how Anonymous hackers managed to get access to Hoglund’s email, by asking one of the IT administrators to reset his password. The revelations about HBGary and WikiLeaks came about by accident, after supporters of Anonymous hacked into Barr’s web site and servers in retaliation for telling the Financial Times that he had managed penetrate the group and learn the identities of senior figures. It later transpired that some of Barr’s initial research was incorrect, and Anonymous posted a link to one of his documents purporting to show names and addresses of active supporters to prove its point. Palantir Technologies has meanwhile sought to distance itself from HBGary, and publicly apologised for its role in the WikiLeaks response plan, making it all the more likely that Barr’s e-mails are genuine.